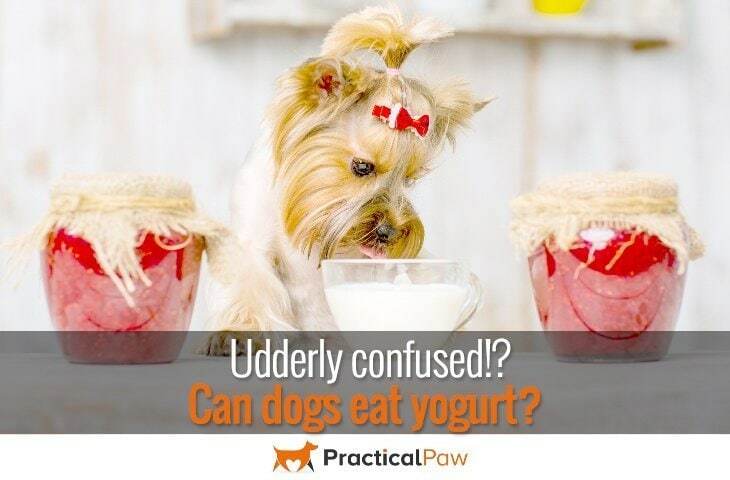 Can dogs eat yogurt are you udderly confused? Can dogs eat yogurt? If you regularly tuck into a bowl of yogurt you may already have considered whether or not you could share it with your dog. With the benefits of probiotics being widely understood now it’s tempting to give your dog a little of what you are having to give them a boost of healthy bacteria too. Although natural yogurt is in no way toxic to dogs, some dogs are lactose intolerant and need a completely dairy free diet. So let’s look at the benefits and risks of giving your dog yogurt. Yogurt is a great source of protein and calcium both of which are necessary for bone and muscle health. It also contains several other important nutrients like vitamin B-12 and the minerals potassium and magnesium. However what’s making yogurt the new super food is that the majority of yogurts contain probiotics. This is also known as ‘good’ bacteria which is essential for digestive as well as overall health. Most yogurts contain a live strain of beneficial bacteria called acidophilus that plays a key role in keeping the balance of good and bad bacteria in our bodies in check. So in essence yogurt is a great way to boost ‘good’ bacteria and get a healthy dose of calcium and protein. If that’s true what’s the downside of giving it to our dogs? Although yogurt and other dairy products are not toxic to dogs, they can have an adverse effect. There are quite a number of dogs that are lactose intolerant. Lactose is a type of sugar found in all dairy products and it’s this that causes the issue. 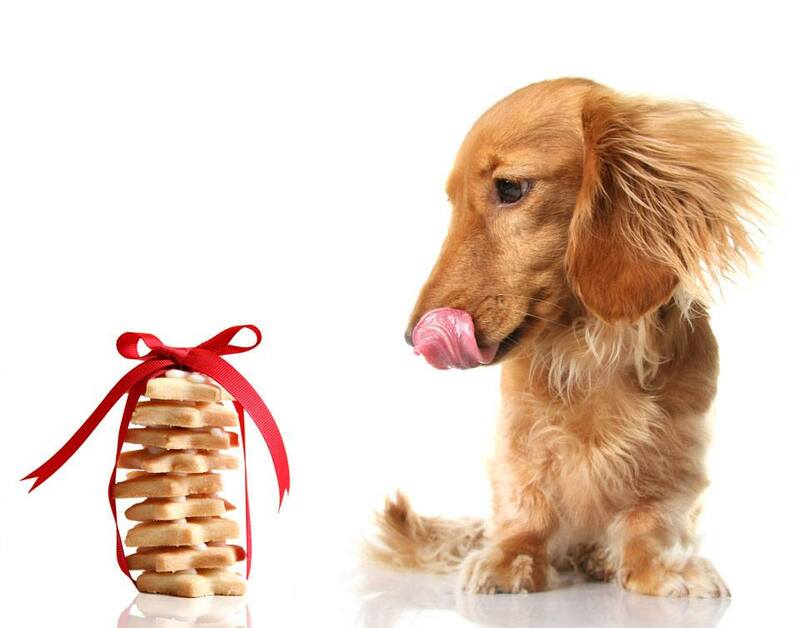 In order to successfully digest lactose, an enzyme called lactase needs to be present in our dog’s digestive system. These symptoms can range from mild to severe and can be distressing for your dog. So we’d suggest that you let your dog try a very small amount first before treating them to larger amounts of diary product. As well as testing your dog on a small amount of dairy, you can also choose dairy products that contain less lactose and monitor the results. If you do want to give your dog yogurt, then be careful of the type that you give them. Plain, non fat yogurt is the best choice. Despite yogurt being a ‘healthy’ food, many yogurts contain sugars, additives and artificial sweeteners. Some of these, such as Xylitol are extremely toxic to your dog. If you do want to add flavour, you can add fresh fruit pieces, but your dog will be happy without. So, can dogs eat yogurt? Yes, for dogs that aren’t lactose intolerant it makes a healthy and tasty treat. Packed full of goodness yogurt is a great low fat tidbit that will keep your dog’s tail wagging. If you do want to support your dog’s digestive system with additional probiotics, then do have a chat with your Veterinarian who can recommend a dog specific supplement suitable for your dog. Although your dog will be happy with a dollop on their food or even a lick of the yogurt pot lid, why not try one of the recipes below. Spoon into ice cube tray or small paper cups. Smooth tops. If desired, push dog treats into yogurt like Popsicle sticks. Remove from tray or peel away paper cups. Serve on a hot day. *These were the pan drippings and bits from a whole chicken I cooked. I poured the pan drippings into a container and tossed them into the refrigerator until I was ready to use. You can also freeze them until ready to use. If you don’t have chicken bits, you can always use any other meat you might have- just be sure it contains no onions, garlic or other “dangerous” items dogs should not eat. The third option is to use whole pieces of chicken or any other meat. Just make sure it’s cooled before processing. In a food processor, add yogurt and chicken bits. Process about 1 minute or until smooth. Place silicone baking cups onto a cutting board or flat tray that is freezer safe. Fill with yogurt mix and freeze overnight. Pop out and store in a baggie in the freezer! Take your pumpkin and cut in half. With a large metal spoon scrape out all the seeds (which if you clean and wash and then toast in the oven make for a delightful nibbles for you as a reward). Take a large kitchen knife and chop the pumpkin into large chunks. Skin the tough outer shell away from the flesh and pop the fleshy parts into a blender or food processor, blitz until smooth. Prepare two large baking trays by lining them with baking parchment. In a large bowl place the oats and the freshly made pumpkin puree. With a silicone spatula mix until well combined, then add the eggs one at the time, and mix some more. Finally add the peanut butter and yogurt and mix until fully incorporated. Remove from the bowl and place on a flat surface suitable for rolling out. Once the individual cookies are on the tray, pop in to the earlier preheated oven. Baking time will depend on the way you cut your cookies… or didn’t cut… small ~3cm long treats and no more than 1cm thick will take around 40 minutes, if you made slightly larger ones add 5 minutes and for the one cookie bake add 15 minutes. You are aiming for a just slightly golden colour and zero give in the firmness to the touch… they have to be totally set and solid. Once baked, remove from the oven and allow them to cool completely.